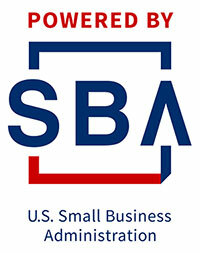 The Rutgers-Newark SBDC has developed a Small Business Cyber Security Program to provide management teams of established small businesses with Cyber Security awareness. The goal of the program is for attendees to understand the importance of implementing a consistent, and continuously improving Cyber Security posture for their organization. Our Cyber Security Program goes beyond intrusion detection and reactive remediation. We provide insight on how to prevent cyber criminals from compromising the integrity of your business critical assets and information on a daily basis. The program also provides a number of best practices and helpful tips to educate end-users who access your company's information systems. If cyber security for your small businesses is still an afterthought, keep in mind that for your customers, suppliers, and partners it is still a very important concern! WHAT IS CYBER SECURITY a. Security & Privacy b. Laws & Regulations SECURITY AUTHENTICATION & PRIVILEGED USER BEHAVIOR a. Single-Factor vs. Multi-Factor Authentication b. Solutions to Single-Facgtor Authentication c. Privileges User Authentications Best Practices d. Privileged Access Management Best Practices SMALL BUSINESS CYBER SECURITY ASSESSMENT & MEASUREMENT a. Organization & Knowledge Management Assessment Tool b. Workforce Management Assessment Tool c. Cyber Operations Managment Assessment Tool d. Cyber Measurement Management Assessment Tool An opportunity for a post-training assessment of your small business cyberinfrastructure is available to those who attend the Seminar.